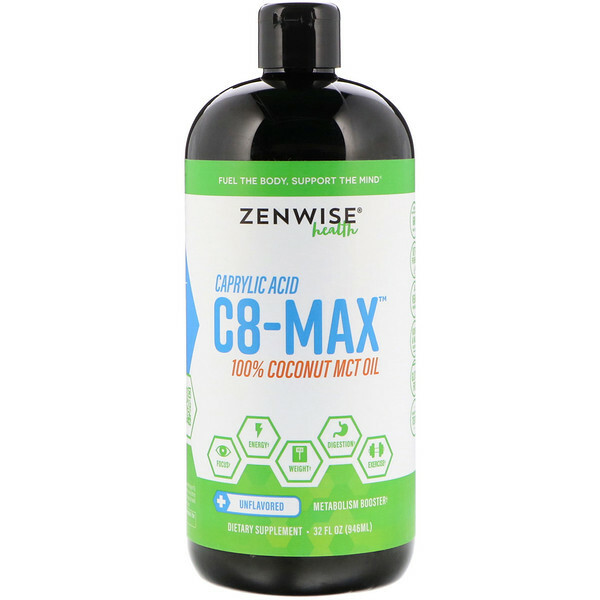 Zenwise Health C8-Max MCT Oil features sustainable coconut-derived Caprylic Acid (C8), a powerful medium-chain triglyceride that provides clean fuel to support the body and mind for peak performance. 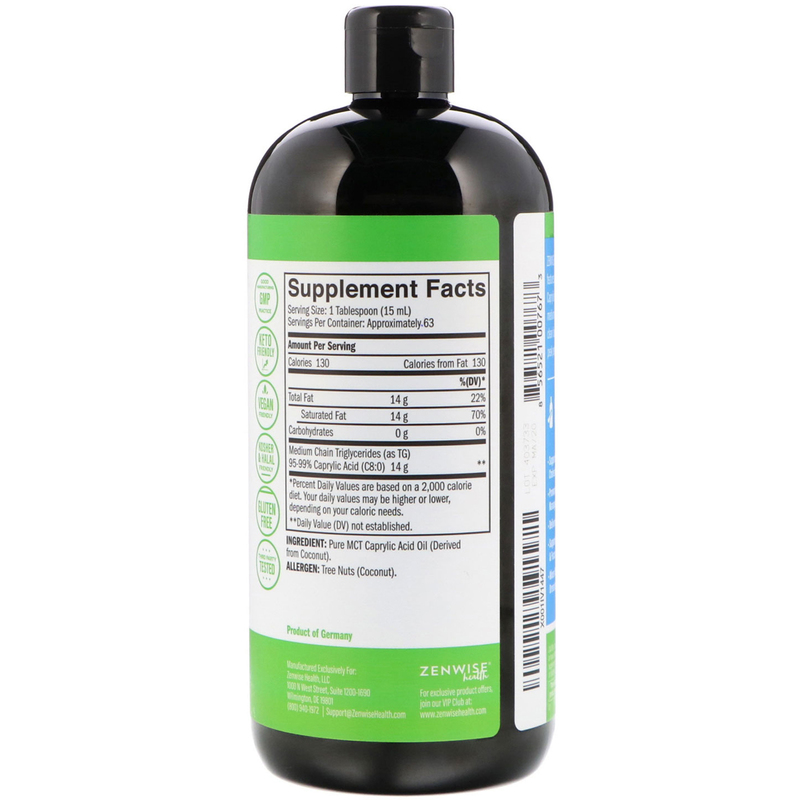 Consume 1 tablespoon of C8-MAX MCT Oil 1-3 times daily. Pure MCT caprylic acid (derived from coconut). Caution: Do not exceed the recommended dose. If you are pregnant or nursing, under the age of 18, or have a known medical condition, you should consult a physician before using this or any dietary supplement. Discontinue use immediately if new or worsening symptoms appear. Keep out of reach of children. Do not use if safety seal is broken or missing. Store bottle in a cool, dry place. *Percent Daily Values are based on a 2,000 calorie diet. Your daily values may be higher or lower, depending on your caloric needs.